It's summer, what does every 6 year old boy want to do? 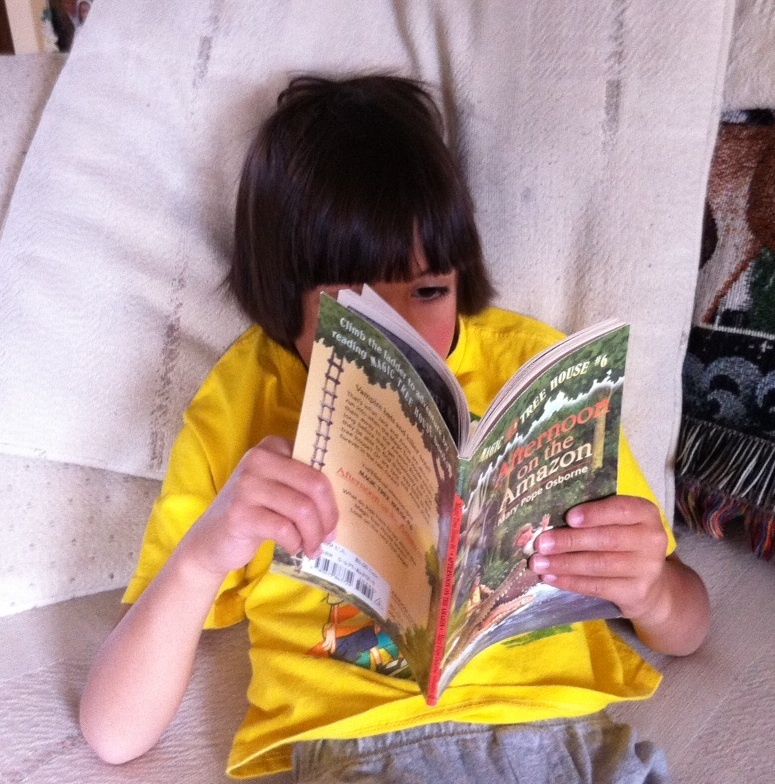 Mine has decided that his goal this summer is to read every Magic Tree House book. 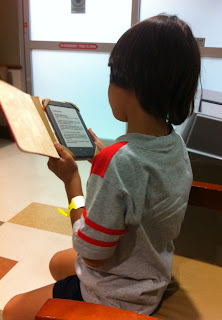 He's not doing too badly, considering we took a 9 day vacation and didn't bring many books along with us. He asked me to keep a list for him, so I am, so far, he is up to 16 books and has rotated in a few others besides the Magic Tree House. He's also in the middle of Zombie Dog on my Kindle, Voyage to the Volcano (MTH #13), a Big Nate book, and a Magic School Bus chapter book about volcanoes too. I've got to say, I'm impressed with him, especially since he's just 6.